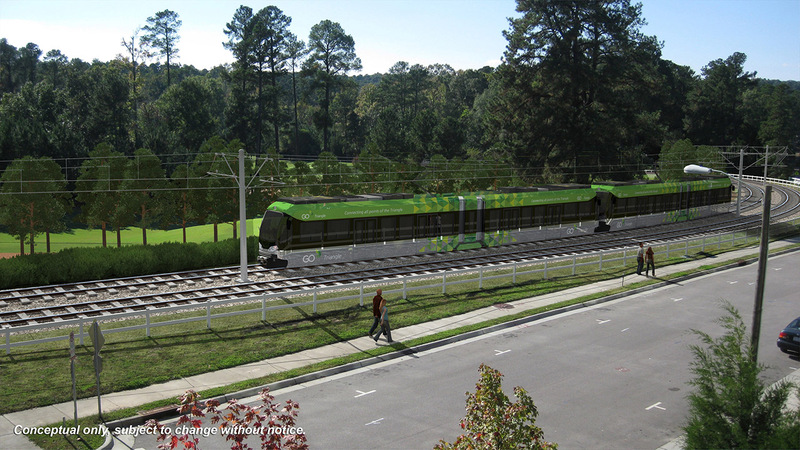 Duke University just pulled the plug on a $3.3 billion light rail project that politicians and residents of Durham spent nearly two decades planning. 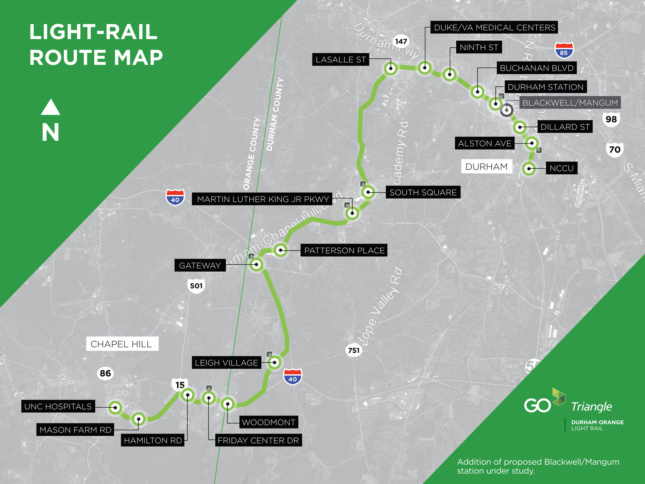 The ambitious proposal involved constructing a streamlined, 17.7-mile-long transit line that would have connected Durham, home of Duke University, to neighboring Chapel Hill, with over a dozen stops in between. Voters approved a sales tax to support the project, and detailed maps and renderings were drawn. Now the project is fighting for its life after Duke withdrew its support. The university’s public and unwavering rejection of the route, which would pass directly through its property, was met with cries of outrage. According to The New York Times, democratic state representatives were shocked by Duke’s decision, criticizing the elite university and its officials for being “out of touch” with the needs of the community, particularly lower-income residents. Even former mayor of Durham, Wib Gulley, compared the situation to a time in 1969 when Duke urged police officers to “gas and beat students” amid civil rights protests. 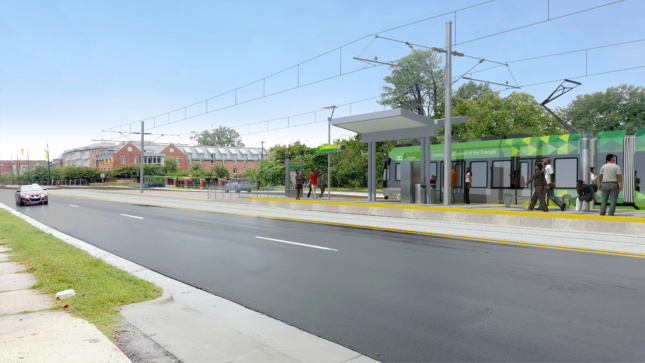 The demise of the transit line will directly impact African Americans and other minorities in the community, many of whom looked forward to opportunities for better housing and employment that the train would bring. It will also affect city contractors, who were excited to be put to work on such a large-scale and complex project. GoTriangle, the agency advancing the project, estimated that the transit line would support roughly 20,000 new jobs for Durham and carry over 26,000 commuters per day. Now Duke is putting the project—along with the education, healthcare, housing, jobs, and economic development it would bring—at great risk. While some university faculty and staff members have been outspoken in urging their higher-ups to grant the project access, Duke executives refuse to budge. In a letter, university officials blamed their decision to reject the proposal on concerns about how the project will affect their medical and research facilities on Erwin Road. Duke noted that the concrete barriers on the track might provoke hazardous conditions for ambulances, while the noise, vibrations, and construction work from the train could upset patients at Duke Hospital. GoTriangle argues that Duke’s worries and concerns are just the latest in a near decade-long laundry list that GoTriangle worked tirelessly to address. For example, GoTriangle agreed to build a $90 million elevated railway track in order to meet Duke’s concerns, promising a safe, secure, and easily accessible path to the hospital. The public transportation company also agreed to a $1 billion insurance policy to guarantee that the noise and vibrations from passing trains would not affect Duke’s research and diagnostic equipment. Despite these changes, Duke is still not satisfied. This is not an isolated incident. Conflicts like these are widespread. Some cities like Los Angeles and Seattle have worked toward developing new and improved transit lines. Other recent efforts at modernizing cities and implementing public transportation are thwarted by politics, high price tags, or resistance from upper-class citizens who don’t want public transport—and the people and congestion that it brings—to “invade” their beloved neighborhoods. While the fate of the light rail line looks bleak, GoTriangle officials still have until April 30 to get 11 agreements signed—which will entail a great deal of negotiating with Duke—and submit an application for $1.2 billion to the Federal Transit Administration.